Mr. Mahboob ur Rahman has been the Chairman of The Peninsula Chittagong Limited since 30th october 2014. Mr. Rahman started his career in the USA as an Information Communication Technology Expert. In the year 1999, he returned to his home country Bangladesh after 12 years and became an innovative entrepreneur starting two successful companies in Entertainment and Information Technology and running two leading companies in Construction and Hospitality industry. Mr. Rahman is the Founder Chairman of Show Motions Limited, the first and only Multiplex Cinema Theater in Bangladesh under the STAR Cineplex brand. He has also founded BASE Limited, a leading ITES company providing information technology solutions, consulting services in management and finance and technical training to enterprises and government in Bangladesh. In Finland Mr. Rahman co-founded IT Services Company and assisted the Finnish companies to set up an offshore development center in Bangladesh. Since 1999, in the capacity of Managing Director, Mr. Rahman has been leading GasMin Limited, one of the largest Gas Pipeline Construction firm in the country completing many large projects in Gas Pipeline, Drill Pad Development and Civil Structures. Mr. Rahman recently founded Sayeman Holding Limited with a vision to build, operate and own several destination resorts in Bangladesh. He is also the Managing Director of Sayeman Beach Resort Limited the most remarkable beach front hotel in Cox’s Bazar. Mr. Rahman earned his Bachelor degree in Information Systems and Computer Science from the University of Texas, USA and an M.B.A from Helsinki School of Economics, Finland. Mr. Mustafa Tahseen Arshad, achieved Bachelor of Science in Electronic Engineering Technology from Southeastern Oklahoma State University, USA. He also specialized in Industrial Technology and Management System under direct Supervision of University of Oklahoma, USA. He also the Director of The Peninsula Holdings Limited and Proprietor of Voyager Trading. During school year he was working part-time with several famous restaurant chains during summer job and well as his management training period. From 1981-1985 he was working as management and employee trainer for Steak & Ale Corporation’s subsidy, Bennigan’s (An Irish restaurant), a very famous restaurant all over USA and 15 countries worldwide. His prime duty was to introduce new line of food and menu implementation from scratch including ensuring the food to be taste for multi ethnic people upscale clientele. From selection of ingredients, shelve life; ease of preparation with minimum training time, waste control. Costing was the main area of his job activity. He play a very vital role in his current project and spend a very good number of hours every week with the F&B team and Executive Chef to design and implement new and wide varieties International and fusion menu for the hotel food outlets. His favorite hobby of cooking different international fusion food became very handy on his practical life. In addition of his present job responsibilities, he is currently consulting for few properties as a freelancer namely Sayeman Beach Resort in Cox’s Bazaar and upcoming Sayeman Heritage in Cox’s Bazaar. Mr. Mustafa Tahseen Arshad attended Special Programmed on National Aero Space on Waste Water Management and Retrieval system, course organized by NASA, USA. He attended an International Training Course ‘Natural Gas Pipeline Construction and Management’ Course Conducted by Canadian Petroleum Institute (CPI), Canada under Canadian International Development Agency (CIDA) development Fund. He attended Special Seminar on Waste Management in Industrial Area and Surroundings, Industrial Gas Recovery and Management. This Course Organized by Environment Protection Agency (EPA), USA, and a Special Seminar on Occupational Safety and Health Alert (OSHA).USA. Mr. Mustafa Tahseen Arshad is an IT expert; He managed network for Knoll Inc. New York office, Support 86+ users with Lotus CC Mail and internal database, Upgrade PC’s and large Scale Printer, ACAD plug-ins and other Software Support. He managed network and user support for Boardman Publishing, New York. He managed PC and MAC network Support for Scot Rudin Production (A famous Hollywood Director/Producer, New York). Mrs. Ayesha Sultana is the Director of The Peninsula Chittagong Limited. Mrs. Sultana completed her Higher Secondary School Certificate (HSC) from Chittagong College in 1966. She is the daughter of Founder-Chairman of The Peninsula Chittagong, Late Dr. Golam Arshad and mother of current Chairman, Mr. Mahboob-Ur-Rahman. 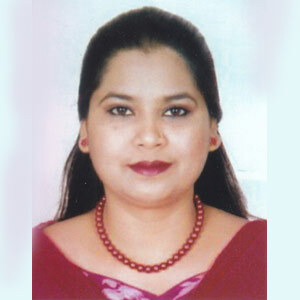 Mrs. Ayesha Sultana holds positions and shares in several leading companies in Bangladesh. Mrs. Sultana is the Chairman of GasMin Limited, a leading Pipeline and Civil Construction Company and Director of Sayeman Holdings Limited, Sayeman Beach Resort Limited and The Peninsula Holdings Limited. Mrs. Sultana is a shareholder of Republic Insurance Company Limited. Mrs. Bilkis Arshad, graduated from Chittagong Govt. College, is the Director of The Peninsula Chittagong Limited. She is also the Director of The Peninsula Holdings Limited. She is an Ex-Director of VOYAGER COMPUTER & COMMUNICATION NY, an IT Company based in Long Island, NY from 1993 to 2001. She also manages total inventory, ordering require equipments for each jobs, managing shipments, warranties etc. related issues. 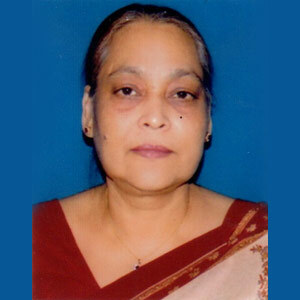 Mrs. Bilkis Arshad, active director of The Peninsula Chittagong Limited, managed all the businesses during the long time absence of the managing director in the country in 2008-09. Managing F&B sections ideas, as well as all events taken place thought-out the year. She worked closely with Executive Chef on rolling out new menu lines and popular new food to create a new taste among the guest. Professor Dr. Md. 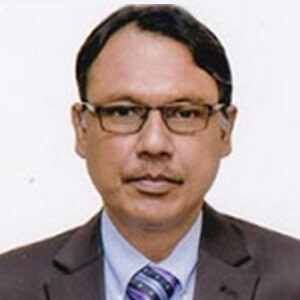 Fashiul Alam, born in a village of Barabakund, Sitakunda Upazilla, Chittagong on 5th February, 1952, by profession is a teacher of the University of Chittagong and now holding job position as Vice Chancellor, Feni University, Feni, Bangladesh since April 16, 2013. Some other important academic and administrative posts he held during his professional career are: Chairman, Dean, Provost, Executive Editor, President, Secretary General, Member of Syndicate, Finance Committee, Planning & Development Committee etc. He is going to complete 39 years of his teaching and administrative experience on 31st December, 2014. Dr. Alam obtained B.Com Hons and M.Com Degree in Management from the University of Chittagong and stood first in order of merit in both examinations. As an Indian Government Scholar, he earned Ph. D in 1982 on Collective Bargaining from the University of Punjab, Chandigarh. He did Post Doctoral from the University of London, UK as a Commonwealth Academic Staff Fellow in 1991-92. He was also a Visiting Scholar in 2009 at University of Texas A & M, USA. 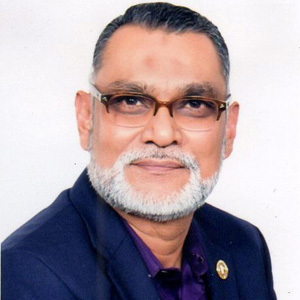 Dr. Alam is well known as a reputed scholar, potential academia, creative researcher, efficient administrator, dedicated social worker and a man of high dignity and distinct personality. His fields of specialization cover mainly HRM, HRD, Labour-Management Relations, and Strategic Management. Besides holding a long experience of pursuing research in management and allied fields and conducting project work, he is an author 39 articles published in reputed and recognized national and international journal. He also holds the fortune of visiting about two dozen countries, attending and presenting papers in a good number of national and international conference, seminar, workshop etc. held in many countries of Asia, Middle East, Europe and North America. Dr Sheikh Mohammed Shafiul Azam was born in a well known Muslim family in a village of Urkirchar, Raozan on 5th September ,1958. He obtained MBBS degree from Chittagong Medical College, C.U. in 1990. After passing MBBS, he joined Chittagong Medical College Hospital (CMCH) and worked there as Medical Officer in different departments. He also passed LLB from Chittagong University in 1983, MSS (Sociology) from Chittagong University in 1984 and M.Sc( Food & Nutrition) in 1992 from Dhaka University. 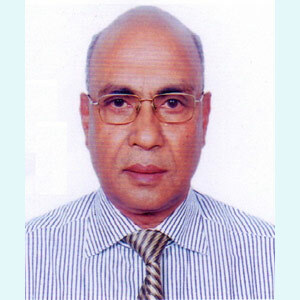 Dr Sheikh Shafiul Azam has passed the Bar Vocational Examination in 1988 and is a member of Bangladesh Bar Council, Chittagong. 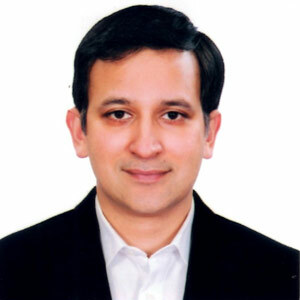 In 1997, he completed FRSH(Accredited) from Royal Society Hospital London, FCCP(Chest Disease Internal Medicine) from American College of Chest Physician(USA) in 2006, FMD(Family Medicine) from USTC in 2007 and FCGP(Post Graduate Diploma in Medicine) From Bangladesh College of General Practitioners. He is a Freedom Fighter and from His student life he was involved in Political Activities and hold several posts like Executive Member of Bangladesh Chhatro League(BSL), Central Committee(Jalal-Jahangir Committee),President-Bangladesh Chhatro League, Ctg. North District, President-Bangladesh Chhatro League, Ctg Medical College Branch. He was also the Organising Secretary of Bangladesh Awami League, Ctg North District for a long period of time and President of Bangladesh Medical Association (BMA),Ctg . 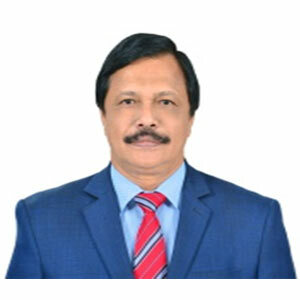 Currently he holds many positions including Vice President, Bangladesh Medical Association (BMA), Central Committee, Managing Board Member-Bangladesh Red Crescent Society, Chairman (Acting) Bangladesh Red Crescent Society, Ctg District unit, President-Swadhinata Chikitshok Parishad(SWACHIP), Ctg & Managing Board Member, Chittagong WASA. During his long career in medical service, he gathered vast knowledge and experience on hospital industry. Dr. Sheikh Mohammed Shafiul Azam has also been associated with different welfare organizations by his active participation and generous donations and is the Director of Ekushey Hospitals PVT Limited & Sheba Hospital PVT Limited. He travelled many countries of Asia, Europe and America attending several international conferences and seminars on Medical Science and Social Welfare Programmes. He Achieved many Awards including UNESCO GOLD MEDAL for the Contribution in the field of Medical Science for the year 2010 , Gold Medal from Bangabandhu Academy , Dhaka, Life time Achievement Award from SAARC CULTUREAL FORUM and Achievement Letter from Bangabandhu Sk. Mujib Memorial Trust for conducting free Health Camp in different Upazilla of Chittagong in Bangladesh. In short, Dr.Sheikh Mohammed Shafiul Azam is a renowned Doctor, Social Worker & Political leader of Bangladesh. Kazi Sanaul Hoq has joined as Managing Director of Investment Corporation of Bangladesh (ICB) on 10 August, 2017. He started his career as a Senior Officer in ICB on 25 October 1984 and served different position in the same organization. Before his joining he acted as Managing Director at Rajshah Krishi Unnayan Bank (RAKUB), During his service life he served different Banks and Financial Institutions. He served as Managing Director (Current Charge) and Deputy Managing Director at Agrani Bank Ltd. In addition to that Kazi Sanaul Hoq served as general manager at BDBL and RAKUB. He also served as CEO at ICB Securities Trading Company Ltd. He completed his B. Com (Hon’s) and M. Com degree in Accounting from The University of Dhaka. He has been contributing his professional expertise as the Chairman of ICB Capital Management Ltd. Apart from that he is now serving as the Director of British American Tobacco Bangladesh Co. Ltd. (BATBC), Linde Bangladesh Limited, GlaxoSmithKline Bangladesh Ltd. (GSK), Renata Limited, Bangladesh Krishi Gobeshona Endowment Trust (BKGET), Credit Rating Agency of Bangladesh Ltd. (CRAB), Credit Rating Information and Services Ltd. (CRISL), Standard Bank Limited, National Tea Company Limited, Apex Tannery Limited, Central Depository Bangladesh Ltd. (CDBL) and some other Directorship.